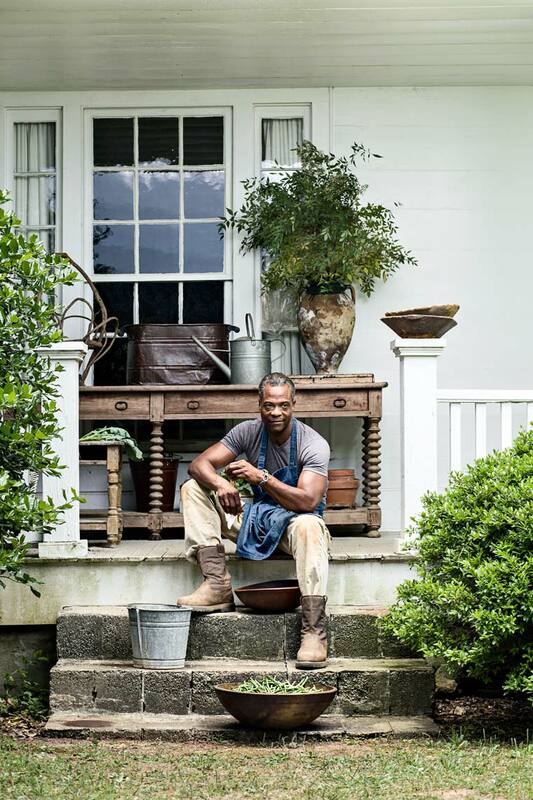 Editorial cover style lifestyle portrait photograph of African American man shucking beans on steps of his rural plantation farm house in the Chattahoochee Hills, just south of Atlanta. Photographed by Atlanta based editorial and lifestyle portrait photographer Nick Burchell. Featured in Garden and Gun magazine.